We have a whole new batch of badness for you this week. The predictions range from wormwood to waddles. We hope you can tolerate it. Aries… The Moon is in its seventh house playing Monopoly with a neighbor. That’s not good for you. In the future, you will convince yourself that you can catch fish with wormwood as bait. In the end, the only thing you’ll catch is termites. Taurus… Mars is trending now, and on the cusp of Taurus at this time. That spells trouble for you. Someday, you will believe that you can get some spring in your step by gluing coils on your shoes. It will work, but you will end up with two sprained ankles. Gemini… The Earth is descending to new lows at this time. Hmmm. That’s going to present problems for you. In the future, you will become the star of the cigar aficionado world when you become the world’s first human humidor. The humidity will cause your skin to get puffy and wrinkled. Cancer… Venus is square with Cancer now. That’s not good for you. You will spend years and hundreds of dollars researching and writing a book called, “How to Languish for Fun And Profit”. You will later find that people are just too lazy to buy it, or read it. Unfortunately, it will become a flop. Leo… Uranus is trine with Leo now. Too bad for you. In the future, you will feast on Dungeness crabs in a dungeon. However, you will get pneumonia from the dampness of the dungeon, and an allergic reaction from the crabs. Virgo… Neptune is in its fifth house having the rugs shampooed. The place smells awful. That’s not good. In the future, you will sail the seven seas after marrying a sailfish. Unfortunately, you will be seasick the whole time. Libra… Saturn is on the cusp of Libra now. That’s always bad. In the future, you will want to swim in safe waters, but you will not remember the combination. You will go into the water anyway, only to be accosted by a loony locksmith. Scorpio… Pluto is in opposition to Scorpio now. That’s not good for you. In the not too future, you will spend years and thousands of dollars researching and writing a book called, “How To Waddle Your Way To Wellness”. Only a few quack doctors, and Dennis Miller, will endorse it. Sagittarius… Mercury is descending into madness now. Too bad for you Sagittarians. In the future, you will feel a lot better, and walk straighter when you take the gourds out of your underwear. Capricorn… The Sun is rising now in opposition to Capricorn. That’s not good for you. In the distant future, you will lose pounds pondering near a pond, wasting the rest of your life there in thought but no action. Aquarius… Jupiter is in its third house now That spells trouble for Aquarians. Someday, you will sell your retirement investment, (a button collection) for what you believe is a more profitable risk, (a zipper collection). Unfortunately, the zipper market will fall apart when it gets caught up in a scandal. Bottom line, you will lose all your money, and your pants. Pisces… Venus is in opposition to Pisces at this time. Hmmm. That’s going to present problems for you. In the future, you will decide to get a job in a tin mine. You will quit that job after you develop tinnitus. Here we are again, dear friends. It’s been an exhausting week compiling your Horror-Scopes. Things have been in the ditch, since we had a computer glitch. But in the end, the Cybermen came to our rescue and reprogrammed the computer. So now we have a new batch of badness for you. The predictions range from dominos to bullhorns. Aries… Pluto is rising now and wants to be one of those helper dogs. It won’t work out for Pluto or for you. In the future, you will try to steak a claim on a gold mine in Alaska, but wild animals will keep eating the steaks you use. You will then lose your claim and prospect somewhere else. We think it will be in Prospect Park located in Brooklyn, NY. Let us know how that works out. Taurus…Neptune is in opposition to Taurus now and it spells trouble for you. In the future, you will be thought of as odd when you try to ride a bullhorn in public. Try not to be too loud. Gemini…Saturn is aligned with Gemini now. That isn’t too good for you. In the future, you will spend several years writing a book called, “How to Wattle Your Way To Wealth”. Only a few turkeys, and Dennis Miller will buy it. Cancer… Venus is descending into a funk at this time. That’s not good. In the future, you enemies will hog tie you using only pork rinds. That will take quite a while to accomplish. In time, you will eat yourself free, but develop a cholesterol problem as a result. Leo… The Sun is in opposition to Leo at this time. That foretells problems for you. In the future, you will start a successful business renting out eyebrows to lowbrows who will later default on their loan payments to you. That will leave you bankrupt. Virgo… The Earth is trine with Virgo now and that’s never good. In the future, you will become a world famous hairdresser specializing in nose hair. Your friends will jokingly say you have a nose job. You will constantly catch cold and the flu from your clients. All your money will be spent on cold and flu remedies. Libra… Mars is in its fifth house having some skylights installed. That isn’t good. In the not too distant future, you will develop an interest in bird watching. Eventually you will build a nest for a jailbird who will take advantage of you. Scorpio…Mercury is aligned with Mars now. That spells trouble for you. In the future, you’ll convince yourself that you’ll become rich by being silent, since it is said, “Silence is golden”. Your friends and family will like your idea, but you’ll be unhappy and poor as a result. Sagittarius…Uranus is rising now to a new standard. That isn’t good. Sometime soon, you will convince yourself that you can relieve all anxiety in people by having them wear “Relaxed Fit” jeans. You will become anxious over your idea and spend the rest of your life in therapy. Capricorn… Jupiter is in its second house now having some plumbing repairs done. That isn’t good for you. In the future, you will befriend a rodeo clown. Unfortunately both of you will become bored, and later gored. Ouch! Aquarius… The Moon is in its seventh house getting ready for a dominos tournament. Things aren’t working out. It can’t find pencils and score sheets. That foretells trouble for you. One day, you will get into a jam while shopping for marmalade. It will be a sticky mess. Yuck! 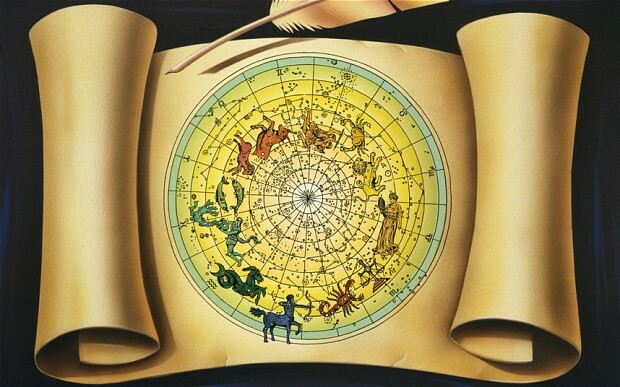 Pisces… Venus is in its third house now planning to redecorate. It is frustrated over color selections. That’s not good for you. Someday, a lawmaker will give you a parachute, however when you need it most, you will find that it’s full of loop holes. These memes are funny, especially if you like wine. In any case, they are clever and humorous, and they fit right into the theme of this blog. I hope yo like them. After the success of Wine… It pairs perfectly with Christmas!, A collection of fun wine images and A great collection of wine infographics, I thought I’d create a new post as a way to store away a few more wine funnies that have come our way. I decided to repost a cartoon I did a few years ago for Valentine’s Day. We are back with another round of unfortunate fortunes for you seekers of the weird and wild. I trust you had (or are having, depending on your time zone), a happy Valentine’s Day. If not, this week’s predictions may just be the icing on the cake you haven’t been looking for. They range from dominos to gnomes. Aries… Uranus is down with the flu at this time. That spells trouble for you. Someday you will attend a Merchant Marine Academy hoping to become the Captain of a fellowship. Of course that will never happen. Your hopes will be dashed forever. Taurus… Jupiter is aligned with Venus at the moment. This is unusual and foreboding for you. One morning, you will awaken to find that you have been changed into a dartboard at a local, busy, bar/pub. Ouch. Gemini… Mars is depressed after being rejected by Venus. That foretells a bad experience for you. Someday, you will learn that money can’t buy love. So, you will try to steal love. An alarm will go off and your efforts will be thwarted by Cupid. Cancer…Saturn is descending and near the cusp of Cancer. This spells trouble for you. Take note of this. One day, you will convince yourself that for the rest of your life you should dither with a zither. The International Zither Society will petition the courts to make you stop playing. You will lose all your money in a countersuit. Leo… The Earth is trine with Leo now and that isn’t good for you. In the distant future, you will design underwear made of feathers. You will take over the chicken farm industry to insure you have an ample supply. Unfortunately, you will lose all you money when the underwear produces a fowl odor. Virgo… The Sun is on the cusp of Virgo now. That’s never a good sign. In the future, you will be in danger in Dublin, causing you to shoot a derringer at a dirigible. You will be arrested for carrying too small a firearm. Libra… Mercury is rising now from a deep sleep and a nightmare. That foretells problems for you. In the not too distant future, you will find yourself being extra careful and alert, but your enemies will be successful in their efforts to make you incongruous. Let us know how that works out. Scorpio… Venus is square with Scorpio at this time. This isn’t too good. It indicates trouble. Buy a large, rubber ducky float now. In the distant future, you will dicker with a doc on a dock about a certain clock wrapped in a frock. You will end up in the water, clock-less and clueless after being shocked. Sagittarius… The Moon is in Sagittarius at this time. It feels queasy about it. That’s not good for you. In the future, you will approach a speaker’s platform wearing noting but platform shoes while carrying a naked gnome. You will be arrested for carrying a naked gnome without a permit. You’ll later see the viral video of your arrest on YouTube. Capricorn… Mars is square with Capricorn now. That is always a bag sign for you. In the future, you will become a fashion guru who will shun all handbags in favor of foot bags you’ll design. Your fame will dwindle as people sue you, after tripping on the bag’s straps and buckles. Aquarius… Pluto is in its fifth house now playing dominos with some friends. It’s losing badly. That foretells trouble for you. In the not too distant future, you will see something vulgar performed a vulture while on the Volga. It will disgust you and you will never be able to remove that image from your mind in spite of years of psychiatric counseling by Dennis Miller. 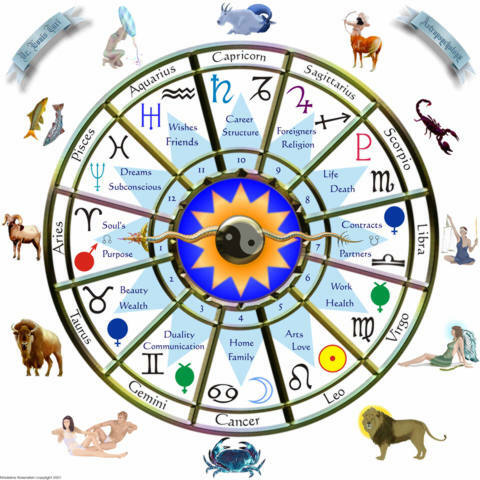 Pisces… Neptune is in its second house arguing with a renter over missed monthly payments. That spells trouble for you. In the distant future, you will have the mistaken idea that if you sprinkle yeast on U.S. southern states, the south will rise again. You will be committed to a mental institution for observation for having a half-baked idea.